Calendula (aka pot marigold) contains salicylic acid (also found in aspirin), which is pain relieving. It also has wonderful healing power due to its antimicrobial, antibacterial, antiviral, antifungal and astringent properties. Used topically, it heals all types of open wounds - cuts, scrapes, burns, abrasions, etc., and soothes itchy irritated skins and mouth inflammation. Used internally, calendula stimulates the immune system, supports and enhances liver function, inhibits some tumors, and have a calming effect on the nervous system. The flowers of calendula can be used to prepare herbal tea, tincture, poultice, salve, and ointment. Of course, you can always buy calendula salve and ointment online if you don't feel like making them yourself. Many dog parents know about the amazing healing properties of calendula, but are unsure if they can use calendula on dogs as well. The answer is "Yes!" - In fact, calendula is a "must-have" remedy in our dog's first-aid kit as it can be used for all types of open wounds. Calendula oil or salve is excellent for treating minor cuts, insect bites, and abrasions. Its brings soothing relief while its antimicrobial and wound-healing properties speed up the healing of the wound. Infusions of the calendula flowers can be used as a skin wash for different forms of skin problems, such as those caused by fleabites, eczema, and poison ivy. Calendula can also be used as a poultice on sprains and bruises. As an eye wash for conjunctivitis, try using a cooled water infusion of calendula. 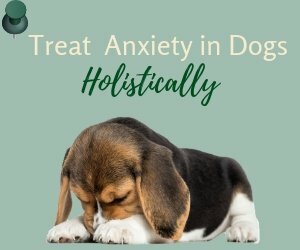 Is Calendula Safe for Dogs to Ingest? 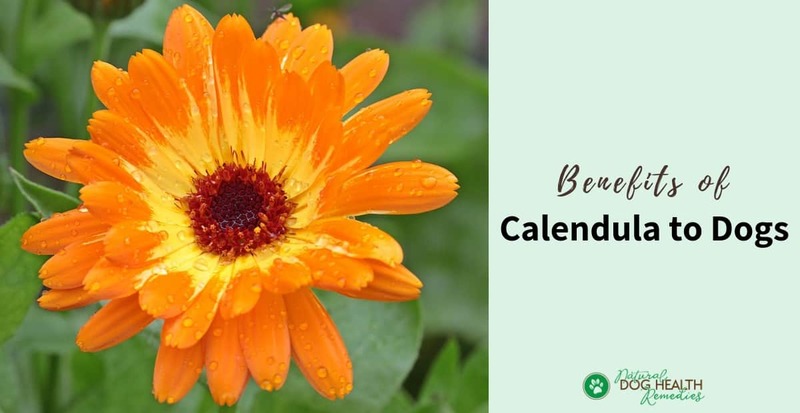 Calendula can also be safely given to dogs orally, except for pregnant dogs (especially during early pregnancy). For example, an infusion or tincture of calendula can be used to treat inflammation or ulceration of the digestive or urinary tracts. Sometimes, dogs may have a fungal infection of the mucous membranes in the mouth or digestive tract. An infusion of calendula may help such dogs. To make an infusion, pour one cup of almost-boiling water over 1-2 teaspoons dried calendula blossoms (or 1-2 tablespoons fresh). Cover and let stand for 10-15 minutes. Strain. If you want to try to make an all-purpose skin oil for your dog, this one is for you (adapted from Natural Remedies for Dogs and Cats by C.J. Puotinen). It can be used to heal burns, cuts, abrasions, other minor open wounds, and paw pad irritations (e.g. caused by de-icing salt in the winter). Put any combinations of the dried herbs of calendula, St. John's wort blossoms, and comfrey leaves in a jar. Tightly seal the jar and leave it in the hot summer sun for several weeks. Strain and store in a cool dark place.